I had the pleasure of traveling down to Puerto Quetzal, Guatemala during the first week of January alongside Cam Sigler Jr. After a short drive from Guatemala City we arrived at Capt. Brad and Cindy Philipps’s villa, who run Guatemalan Billfish Adventures. Our typical day started with breakfast at 6:30 AM, then leaving the port on Capt. Brads 40ft Gamefishermen, ‘Decisive’ just minutes later. On our way out to the fishing grounds I ran scenarios through my head about what I thought might happen when a fish was raised and had a general idea of how the events would unfold, but as soon as my fly was in the water I forgot everything. From the time a fish is raised and by the time you try to set the hook it seems to all happen in an instant. After a few horrible hook sets and a panicked casts time seemed to slow down and I was able to hook a beautiful sailfish. It seemed that all the sailfish were different, you could land one in twenty minutes or it could take two hours. The fight itself was truly spectacular, and the strength and acrobatics each fish will always be ingrained into my memory. I could try to explain the steps it takes catch a billfish, but you just have to try it out. This was my first time fly fishing for billfish and I know it’s not going to be my last. If you are even slightly interested in catching these magnificent fish I would recommend you take the time to experience it for yourself! We can get you all setup at the shop with what you need as far as rigging, setups and what to expect. 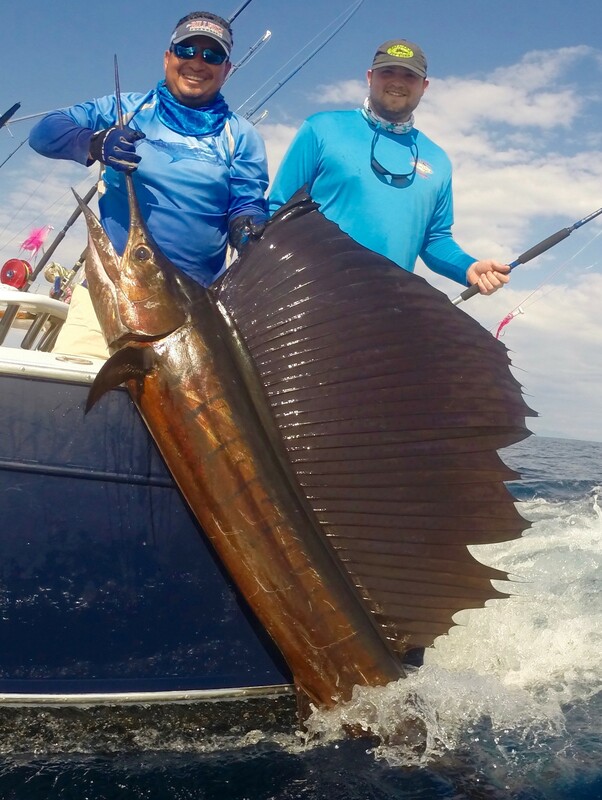 Captain Brad Philipps has been fishing in Guatemala for over 18 years and has released more billfish than anyone else on the planet. His knowledge of the fishery is unmatched. Besides the incredible fly fishing experience Brad and Cindy were incredible hosts providing amazing food drinks for every meal and made sure all of our needs were taken care of. This was a trip of a lifetime and one that I think every angler should experience. Check out Brad and Cindy's Operation here.